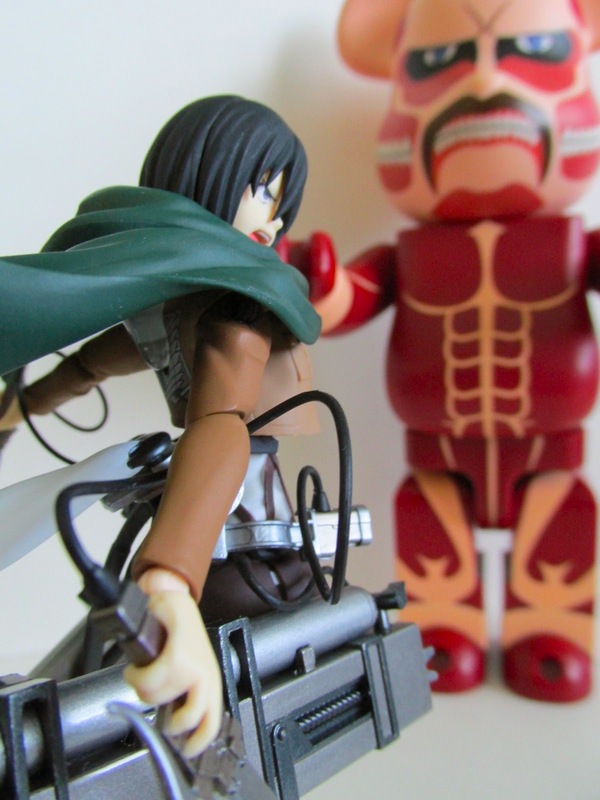 MAX Factory releases one of their first figures in their Attack On Titan line. 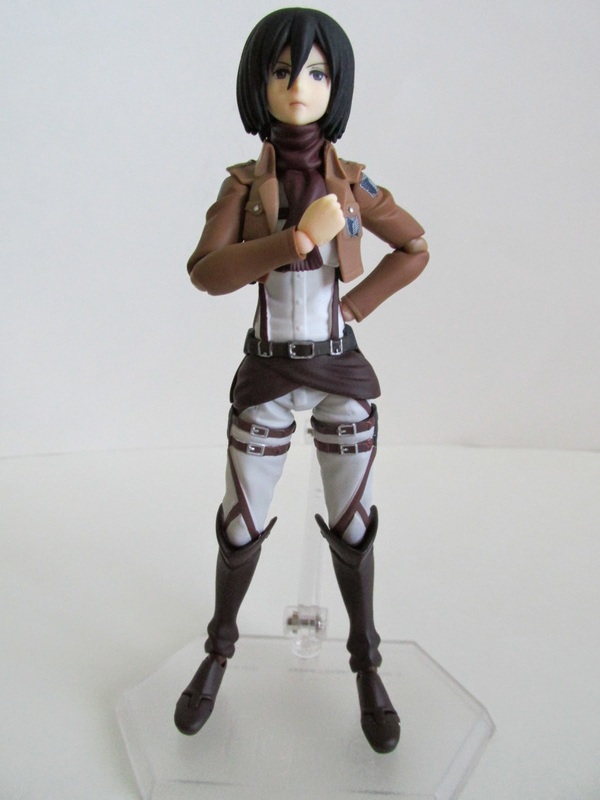 Mikasa is a great character to start with and is a big fan favorite. 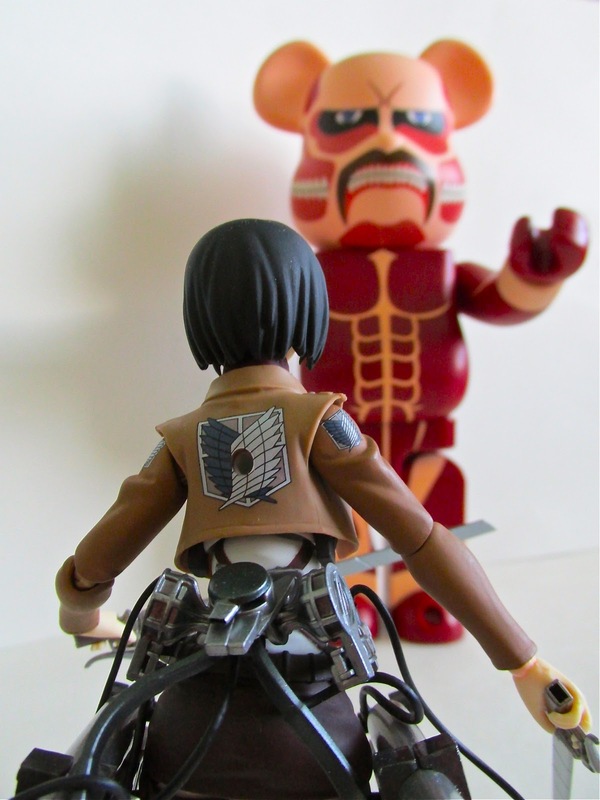 Originally, this figure sold out very quickly but has since had a second reissue. 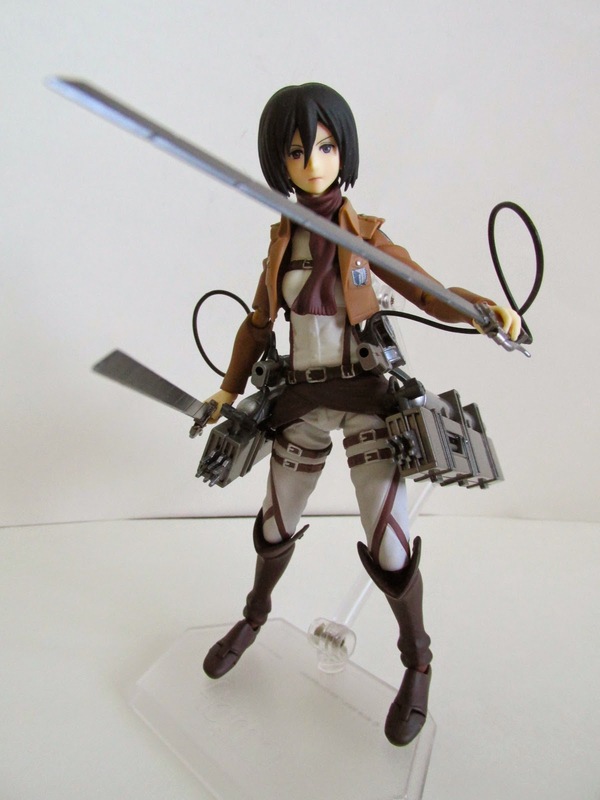 The figure has great articulation and great poses can be achieved with this figure. Many of the iconic poses seen in the show can be pulled off and look very awesome. 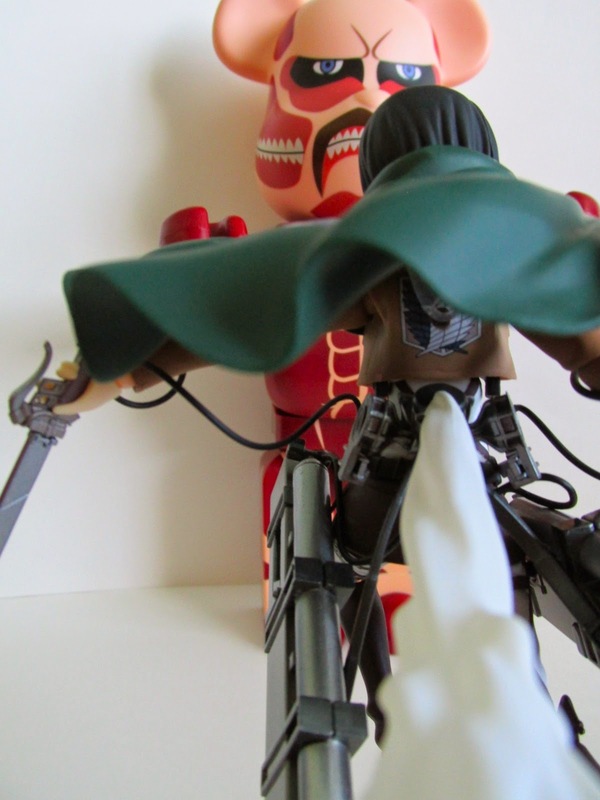 The clothes are flexible so no worries on the clothes getting in the way of posing with this figure. 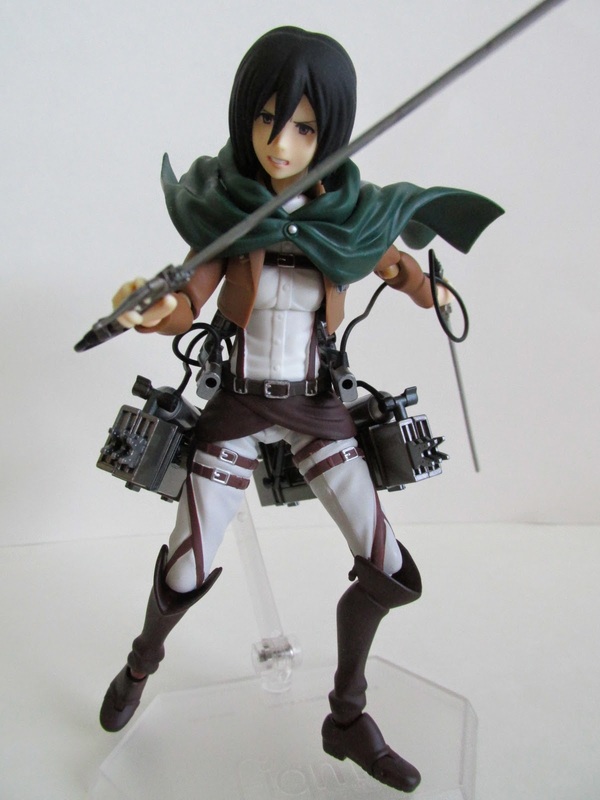 Accessories wise Mikasa comes with a lot. She comes with her C-Gear, two extra faces with different expressions, two swords, a long plume of smoke for the C-Gear, the standard base, two small puffs of smoke for the C-Gear, two spears, two hooks, extra rope, cape, scarf, collar, and 4 extra sets of hands. The accessories really make this figure stand out and worth the price of getting. If you watch the show, then you know how the C-Gear should look based on all the accessories you are given. 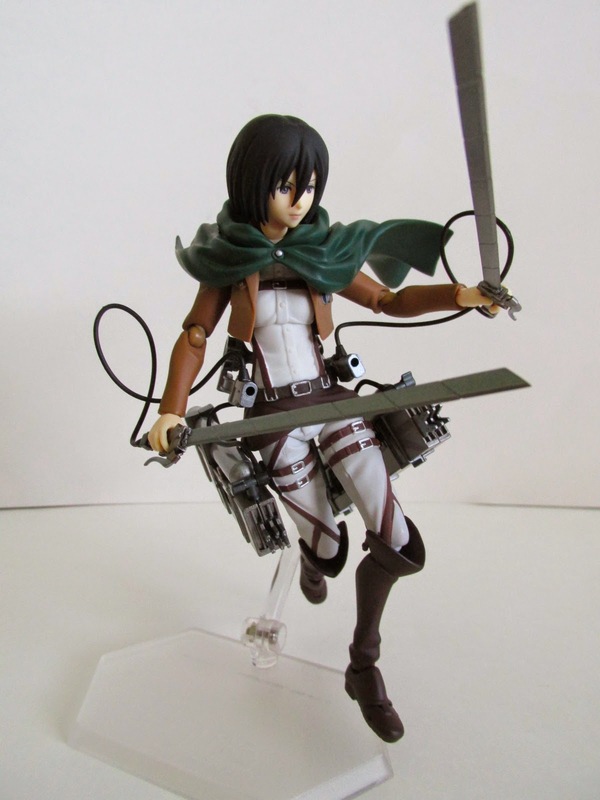 The C-Gear has a peg that attaches to her back, a peg for her hips, and a peg for her thighs. There are cords that attach from the C-Gear to the hilt of the swords and are a real nice touch of authenticity. One of the cool display options for this figure is you can attach the large puff of smoke to the C-Gear and then put it on the base. 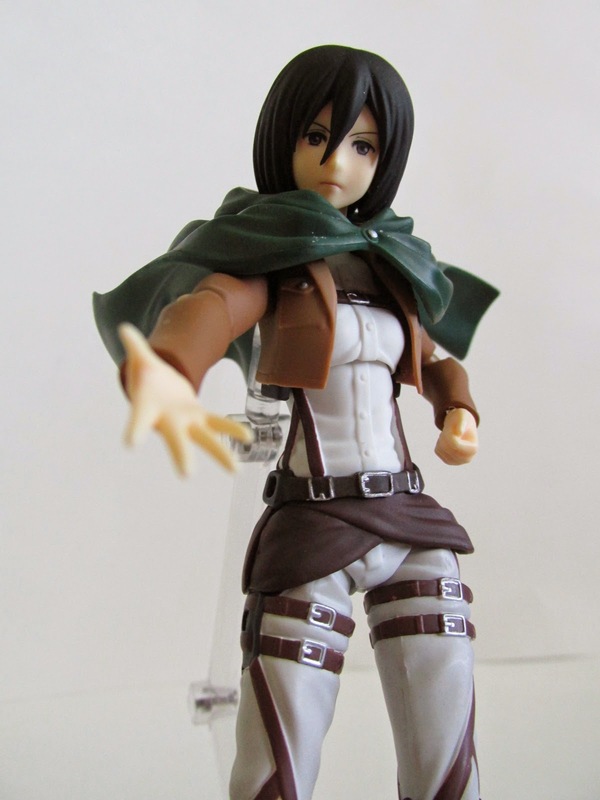 This creates the illusion that Mikasa is taking off with her C-Gear. Overall, this figure is great. 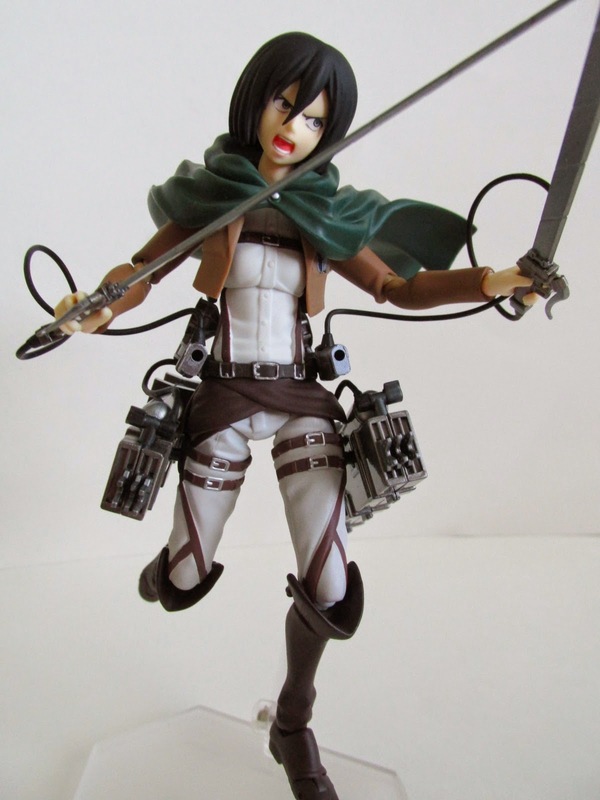 It has a decent sculpt, good attention to detail on the accessories, and is a nice addition to any Attack On Titan collection...especially with the eventual release of the other characters.